Founded in the third year of Daoguang in Qing Dynasty (1823), the "rishengchang" Remittance Bank specialized in silver (used as currency) remittance, deposit and loan business. It is regarded as the originator and a milestone in Chinese financial development. Three years after the "Rishengchang" was founded, its branches have scattered in Shandong, Henan, Liaoning, Jiangsu etc. In 1840, Shanxi "piaohao" was not only made up of Pingyao "piaohao" but Qixian and Taigu "piaohao"s. There were 11 remittance banks then in Shanxi. With the development of Shanxi business, there were 43 remittance banks in Shanxi at last. They had 500 branches in 85 cities across country and in Tokyo, Osaka，Kobe of Japan, Singapore, Moscow of Russia and Calcutta of India. At that time, Chinese finance had almost been monopolized by Shanxi "piaohao". There were 22 "piaohao"s in Pingyao with 404 branches. The "Rishengchang" enjoyed great credit., and it was famous near and far. Located in the west street, Rishengchang covers an area of 1,700 square meters. The economical use of land and deliberate structure show us exquisite design. After being greatly rebuilt in 1995, "Rishengchang" has been renamed "the museum of Chinese `piaohao`", here we can see the complete managing business of Rishengchang, lots of valuable materials and material objects. 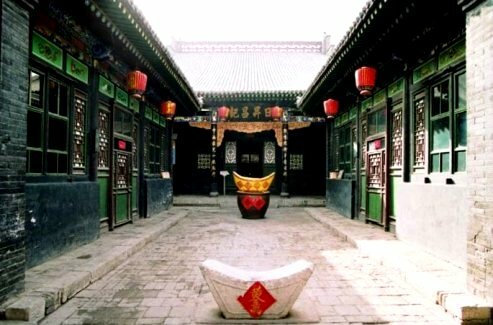 In addition, there are lots of history material showing us something about Pingyao piaohao, Shanxi piaohao and Chinese piaohao. In a word, we can feel the up and down of Chinese piaohao in "Rishengchang"